I’ve been making this salsa every summer since 2003 when the recipe for it was published in our local newspaper. 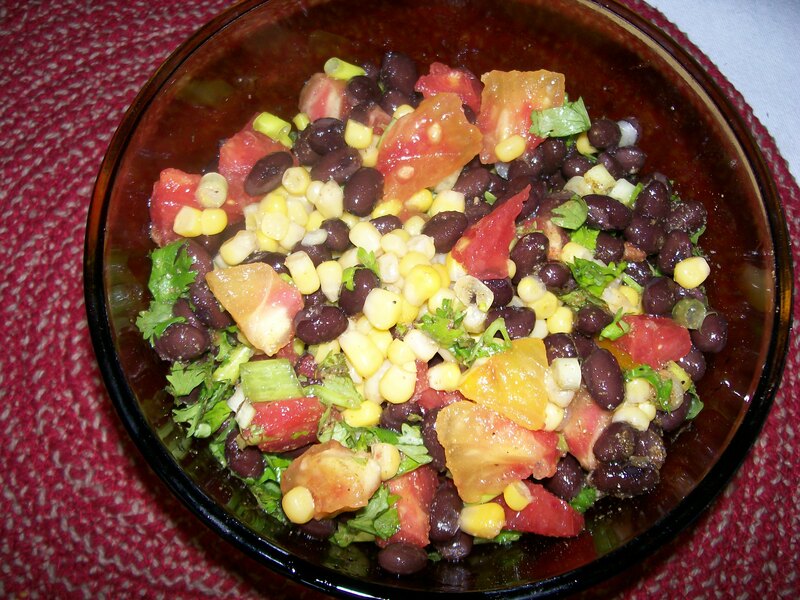 It uses the kernels of sweet corn cut from the cob plus black beans and anything else you might want to add. That’s what I like about it; its so versatile. If I have a tomato that needs to be used, I cut it in, or perhaps an avocado that’s ripe. If I don’t have a red onion I use scallions, likewise if I don’t have cilantro I use parsley. If you like some heat in your salsa, cut in a small jalapeño. Put everything in a bowl, mix up the super simple dressing, and Bingo! its done. We use this salsa as a snack, with healthy multigrain chips, or sometimes I use it as a salad. 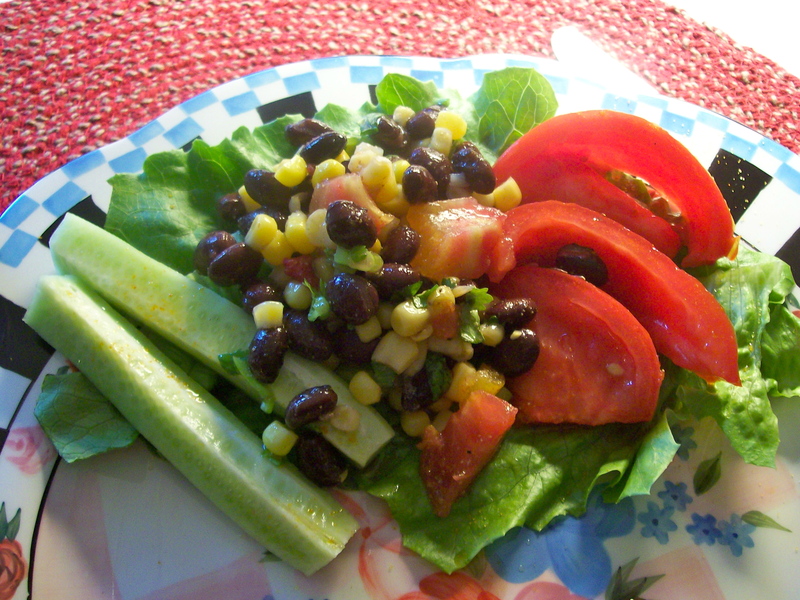 Just put 1/2 cup on a leaf of romaine, arrange some tomato wedges and cucumber sticks around it, and there it is, a quick salad. I find that the flavor improves if you make it a day ahead of when you will serve it but that’s hard for me to do. I always want to sample it right away. Oh, another thing: if you like cilantro as much as I do, use twice the amount! 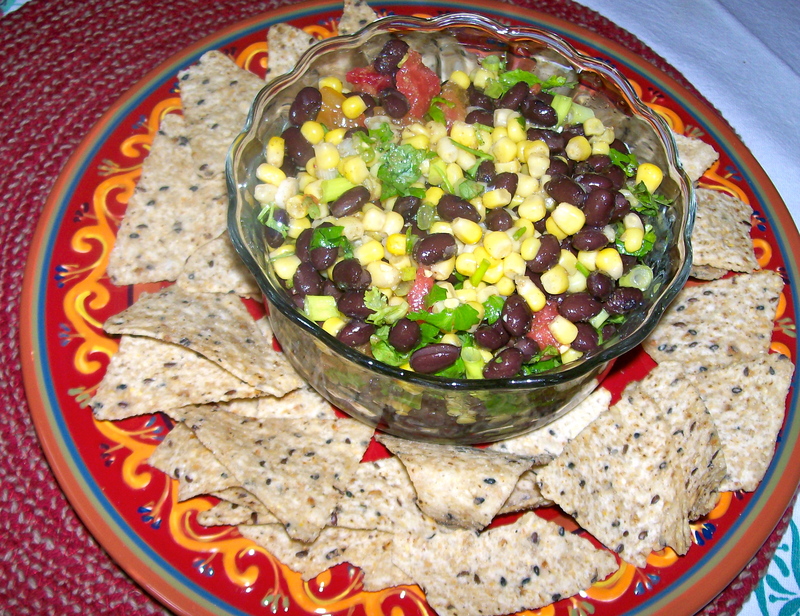 Serve with tortilla chips or cheese quesadillas.